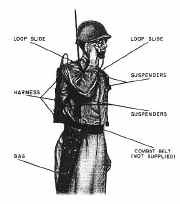 Radio Sets AN/PRC-8.-9, and 10 are three portable, FM (frequency-modulated) radio sets intended to provide man-pack communications for armored, artillery, and infantry units, respectively. 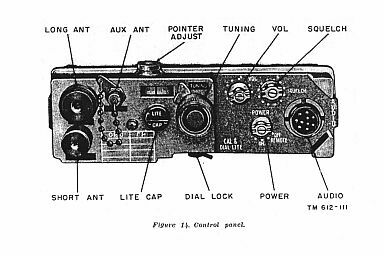 The radio sets are battery-powered; they can be operated in airplane and vehicle installations, in semi-permanent ground installations, or while being carried by the operator. Provision is also made for homing use, remote operation, and unattended relay operation, using two sets. Radio Set AN/PRC—8_ 20.0 to 27.9 mc/s (megacycles). Radio Set ANJPRC—9_ 27.0 to 38.9 mc/s. Radio Set AN/PRC—10_ 38.0 to 54.9 mc/s. 74 pages as contents list above including the Circuits with Component values. Operation and Organizational Maintenance Manual 49 pages. TM 11-5820-292-20 TO 31R2-2PRC-172 Organizational Maintenance Manual 29 pages.